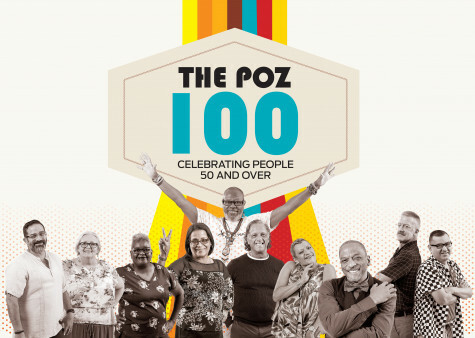 The 2018 POZ 100 celebrates people 50 and over with HIV making a difference in the fight against the virus. The ninth annual POZ 100 honors people living with HIV who are 50 and over and making a difference in the fight against the virus. This age group represents the future of the epidemic—both in the sheer number of people living with HIV and in the inspiring ways they’re thriving. About 50 percent of people living with HIV in the United States are 50 and older, and by 2030, that number is expected to jump to 70 percent, according to the International Society for Infectious Diseases. Many people on the list are long-term survivors, diagnosed before the advent of effective HIV treatment in 1996. Many of these folks didn’t expect to live to see 50, let alone 60 or, in the case of six honorees, 70 or beyond (the oldest person on this year’s POZ 100 is 78). On the flip side, a lot of folks on the list contracted HIV or first learned of their positive status in their 50s. This isn’t unusual. In fact, one in six new diagnoses are in people 50 and older. (As one HIV prevention campaign reminds us: “Age Is Not a Condom.”) You’ll even meet one man who was diagnosed with AIDS on his actual 50th birthday. Needless to say, the POZ 100 is not a definitive list. It is a representation based on your nominations. You’ll find a stunning variety of individuals—not only in terms of race, gender, geography and the like but also in the type of HIV work they do, whether it’s educating, counseling, researching vaccines or answering phones. But the POZ 100 honorees do share some traits: resilience, energy and passion. We’re certain they’ll inspire readers of all ages! On the cover (from left): Rosa Rivera, Lillibeth Gonzalez, Bryan Jones, Pat Kelly, Rob Quinn, John Tenorio, Reginald T. Brown, Wanda Brendle-Moss, Eric Jannke and Moisés Agosto-Rosario. To read the 2017 POZ 100, click here. To read the 2016 POZ 100, click here. To read the 2015 POZ 100, click here. To read the 2014 POZ 100, click here. To read the 2013 POZ 100, click here. To read the 2012 POZ 100, click here. To read the 2011 POZ 100, click here. To read the 2010 POZ 100, click here.